The Toronto Archives, unless noted. With files from Derek Flack. 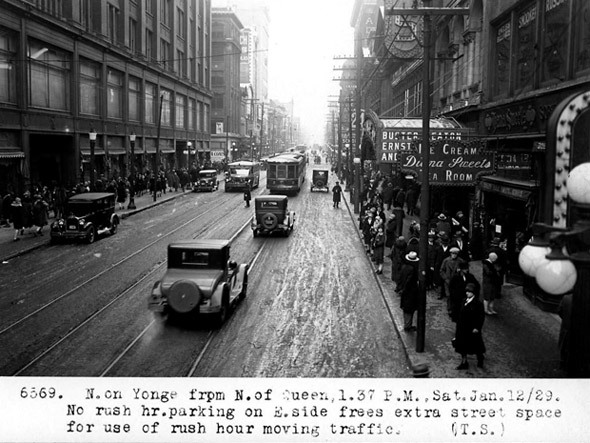 Yonge and Queen has always been a hub in Toronto since the turn of the century when both City Hall and the Timothy Eaton Co. took up residence nearby. Oddly, not much has changed in this capacity as Viljo Revell's City Hall and the Eaton Centre are still draws to the area. 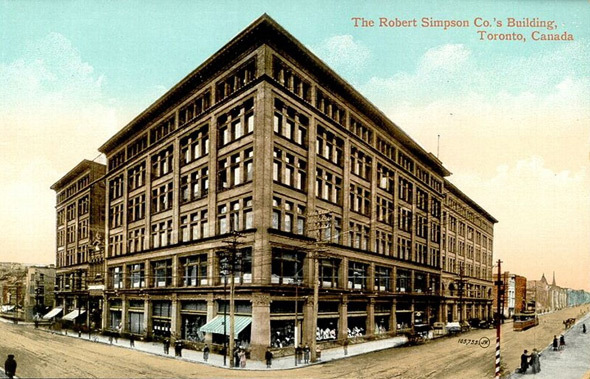 All of the land to the northwest of the intersection was owned by Timothy Eaton throughout much of 20th century, and even before the Eaton Centre, there existed a complex of buildings related to his retail operation. With the construction of Toronto's downtown shopping mall in the 1970s, the streetscape in the area underwent profound change, but a walk along Yonge today reveals that a number of buildings on the east side of street are still in existence. 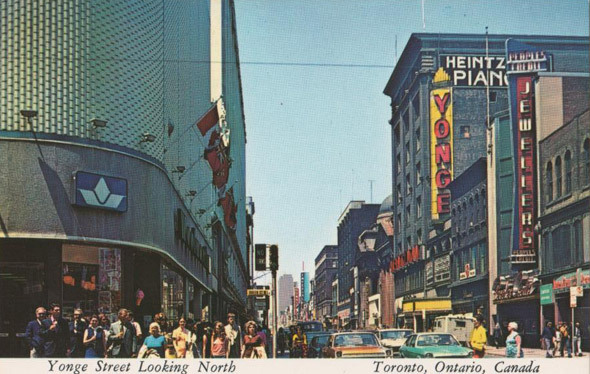 Here's a visual history of the intersection of Yonge and Queen. 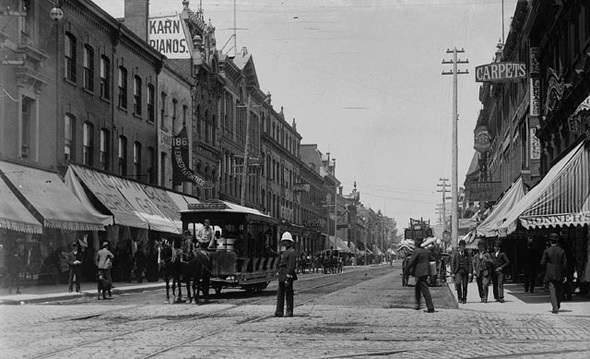 A photo from the 1890s, early history for Toronto. 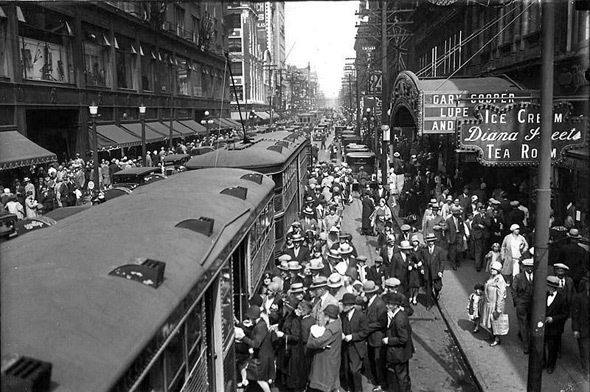 Commuters board the streetcar, early 1900s. 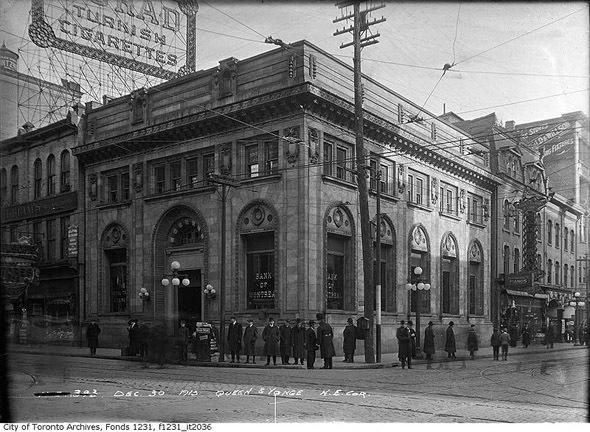 The Bank of Montreal, 1910s. 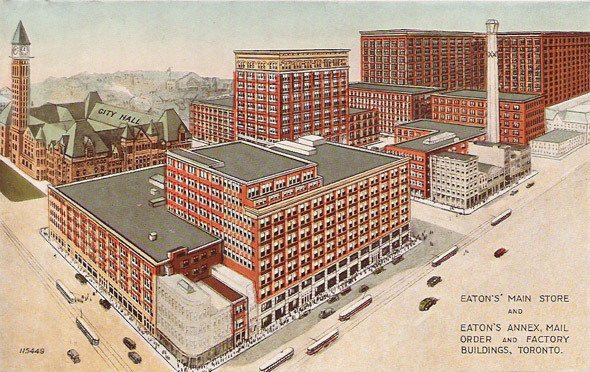 A rendering for the Eaton's Store, which would go on to become today's Eaton Centre, 1920s. 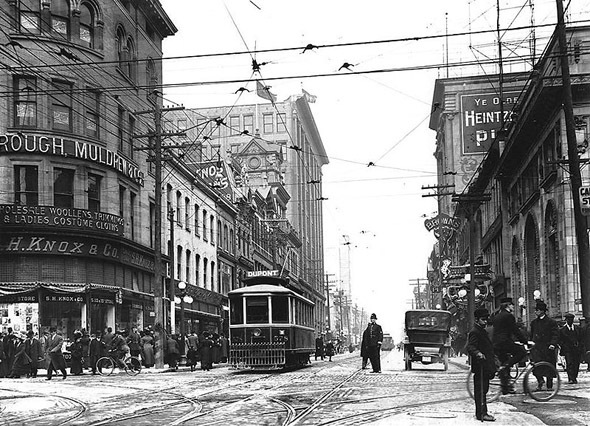 Looking North on Yonge from Queen, 1929. What will become the Bay building, 1920s. 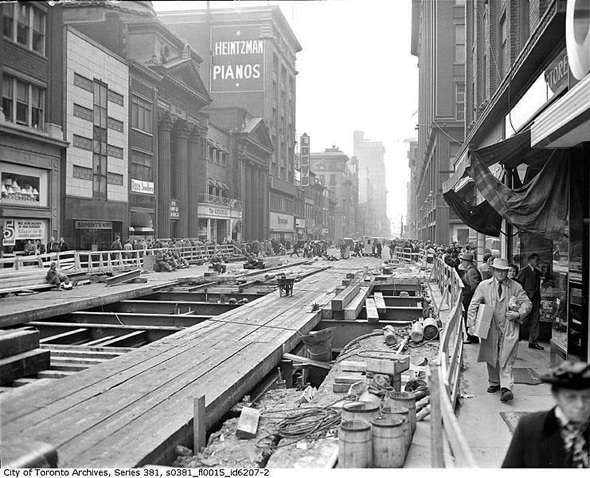 Early construction for the Yonge line subway, 1940s. 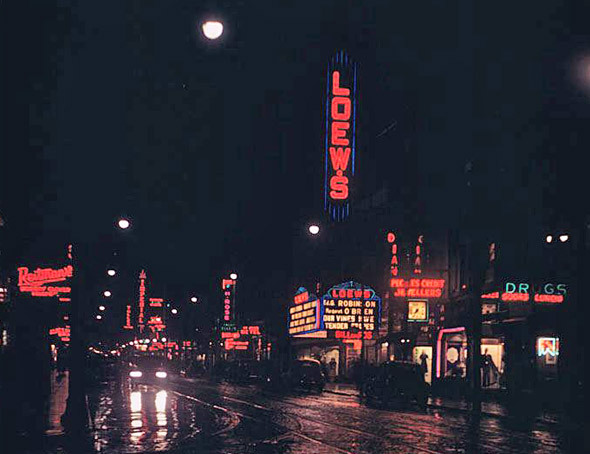 Streetcar tracks at night, 1950s. 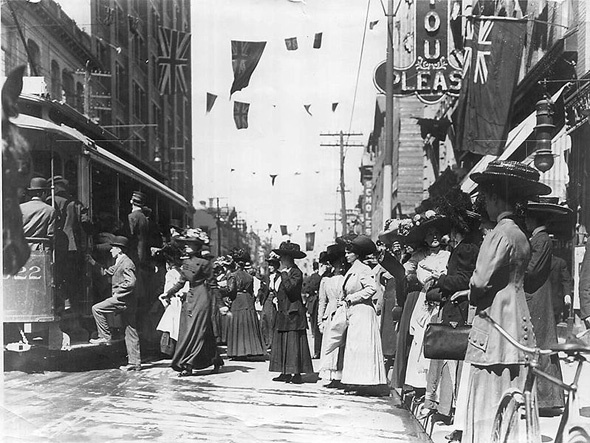 An image of Queen Street. 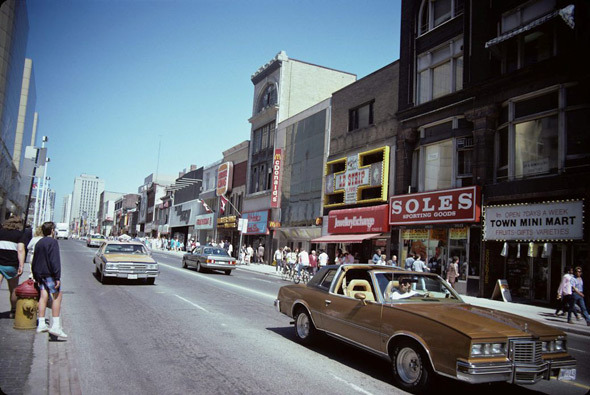 Note the tower at 1 Dundas West is now constructed, 1980s. 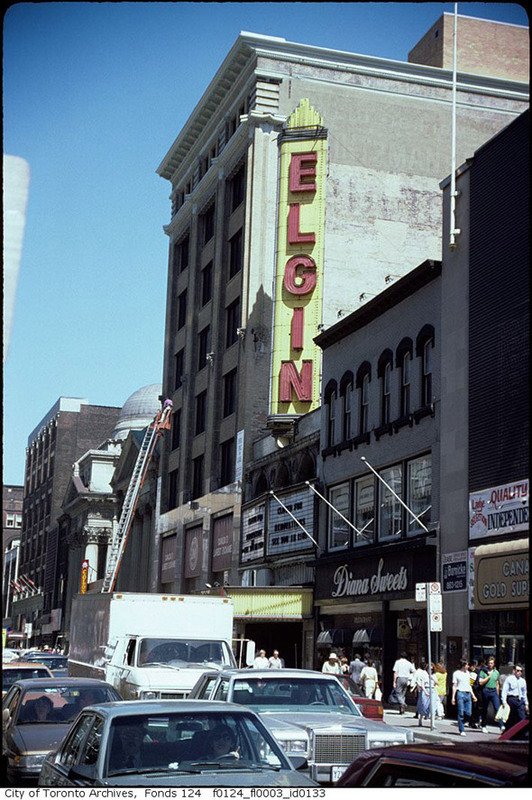 The Elgin Theatre sign, 1980s. 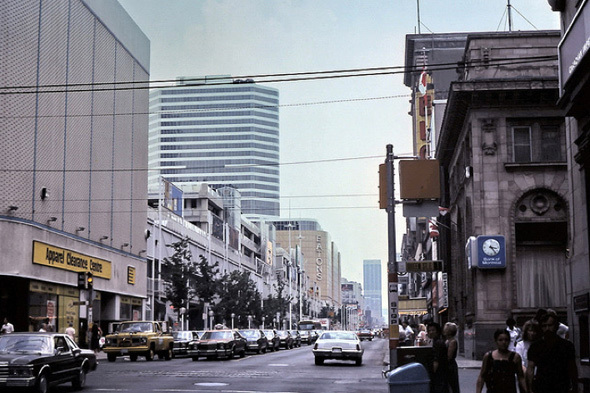 Looking along Yonge Street, 1990s.